By William Hall. Photos by the author. Driving these three classic cars from the LeMay – America’s Car Museum across the eastern United States to the North American International Auto Show in Detroit has been like going on tour with The Rolling Stones. Early mornings, late nights and a dizzying series of media interviews are interrupted only by hours spent on the road. Each night we stand in a new hotel hallway, a pocketful of old room keys from the past week, trying to find our beds and remember what city we are in. Morning is the most frantic time of the day. Everyone is fully caffeinated and eager to get out on the road and ahead of the curve. But fate seems to always throw interesting curveballs our way. 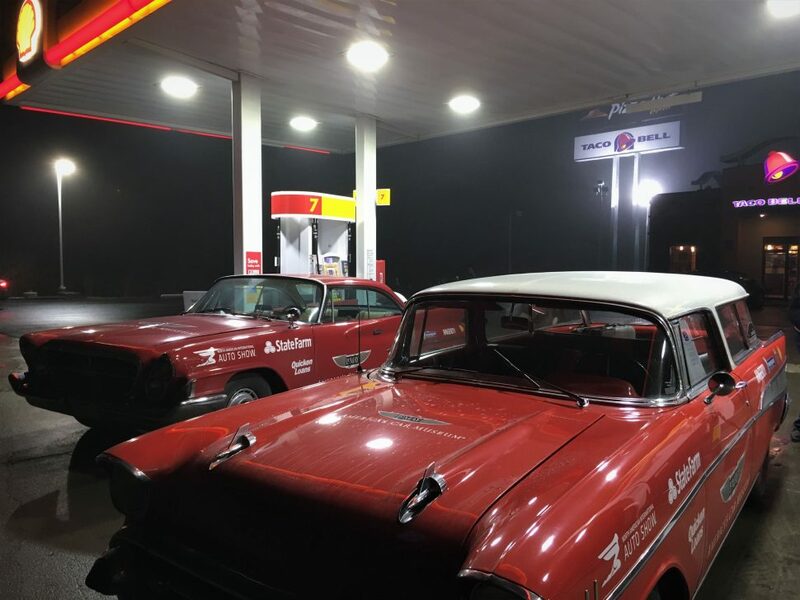 Despite the daily obstacles, determination has set in among the crew to deliver these cars to Detroit intact, if for no other reason than to honor the folks that have taken the journey with us, both literally and figuratively. Click here to read more in Hemmings Motor News.